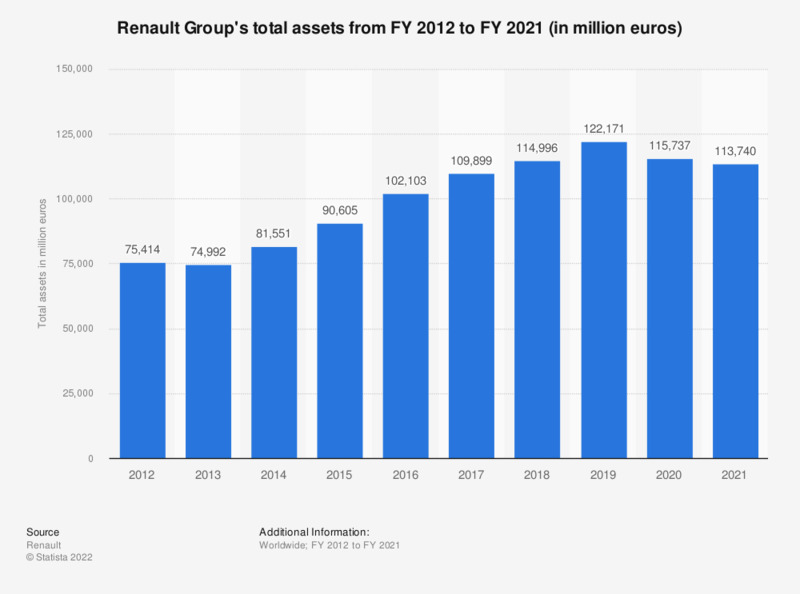 This statistic shows Renault Group's total assets from the fiscal year 2012 to the fiscal year 2018. Renault Group' held total assets to the value of around 115 billion euros in the fiscal year of 2018. The figures for 2012-2015 were taken from previous annual reports.